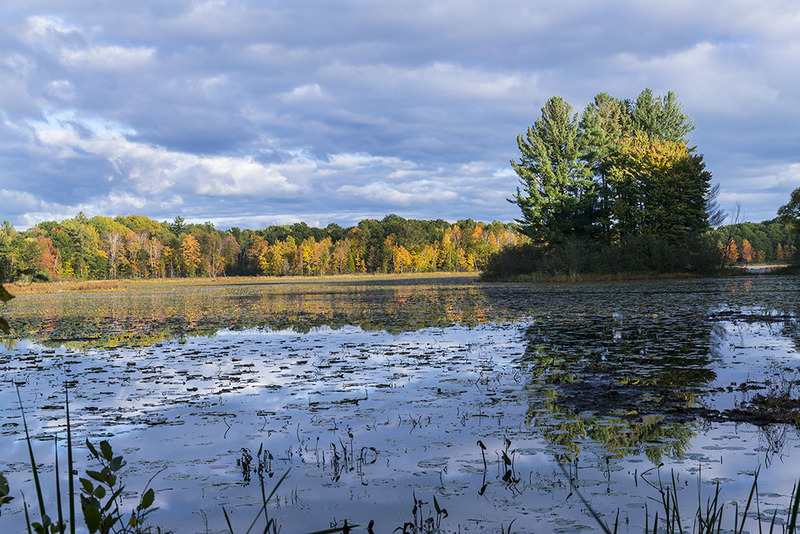 Haymarsh Lake Campground is located within the DNR managed Haymarsh Lake State Game Area containing 6,737 acres and is known for the wide range of opportunities it has to offer the outdoor enthusiast. 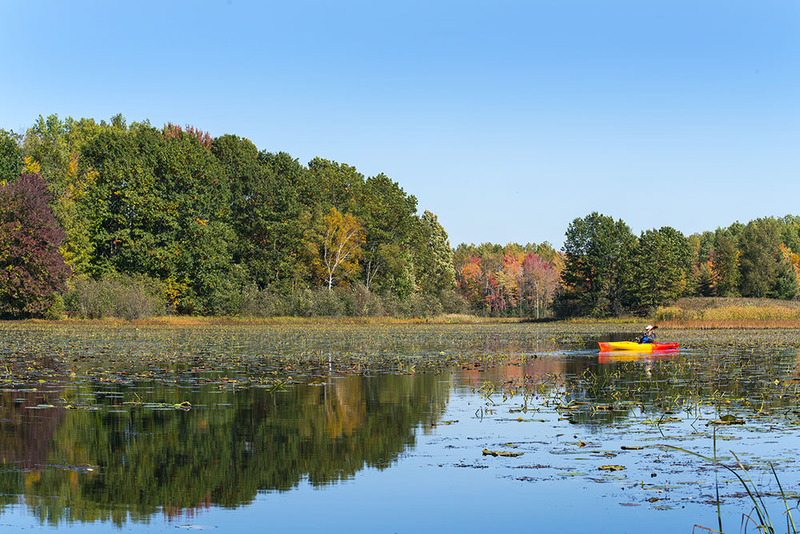 Whether you visit to hunt, fish, camp or take in the natural scenic surroundings, we think you'll find just what you're looking for at the Haymarsh! Haymarsh Lake was a series of six small bodies of water until 1949 when the Department of Fish and Game built a dam six feet deep where a beaver dam once stood. Haymarsh Lake now has 375 acres of surface water that includes the original six lakes, some 18 to 30 feet deep, surrounded by shallow flats, ranging from four to six feet deep. The dam is approximately 120 feet long and stands six feet above the spill way. The impoundment offers a large variety of fish including Northern Pike, Largemouth Bass, Crappie, Perch, Bluegill and Pumpkinseed Sunfish. In addition, the campground offers access to some of the best public hunting opportunities in the County. There is an abundance of deer, waterfowl and small game. Click for Individual Lake Maps, available from the DNR website. Haymarsh Lake Campground is first come, first served and does not allow reservations. Payments are accepted at the campground registration station via cash or check. Haymarsh Campground offers 19 rustic campsites plus a group tent camping section. 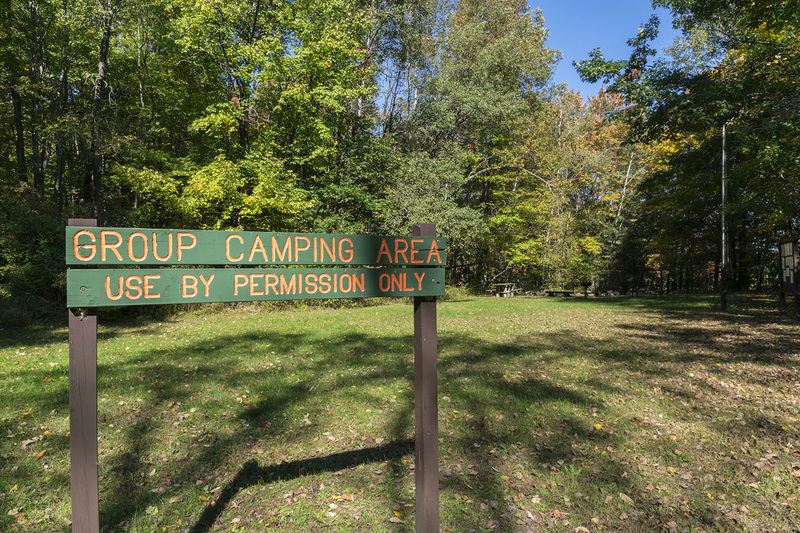 For information on utilizing the group camping area please contact the parks administration office. Each Campsite contains a picnic table and fire pit. Mecosta County Parks vehicle permits are not required at Haymarsh Lake Campground. Pets are welcome at Haymarsh Lake Campground. 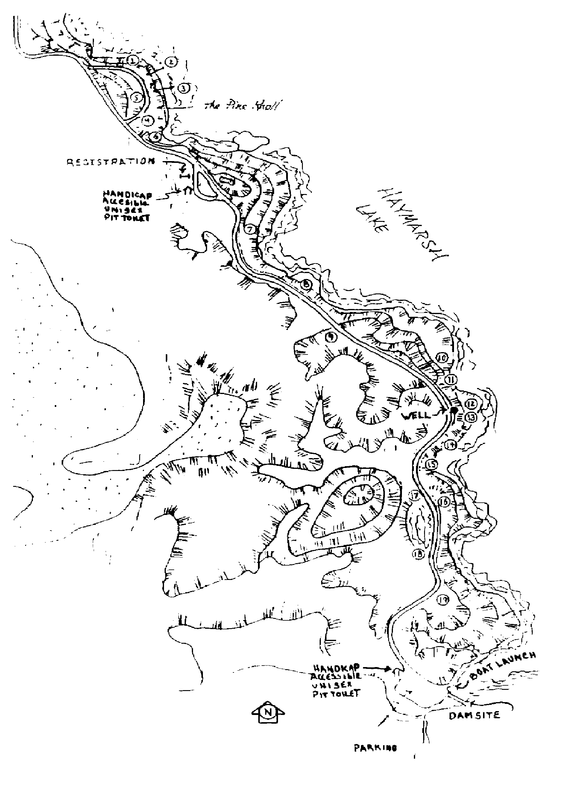 Click here for a map and rules listing for the Haymarsh State Game Area from the DNR website.